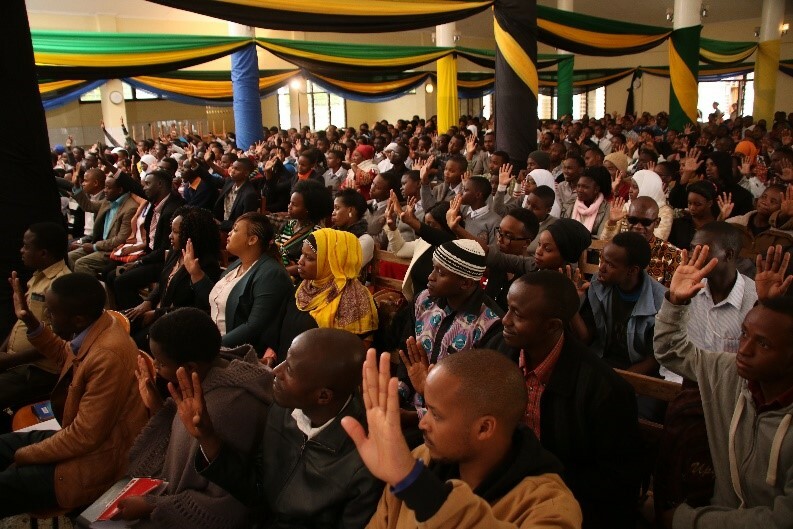 Tanzania National Youth Assembly - Activate! 2017-11-09 /0 Comments/in Projects /by Activate! The event was hosted with the aim of creating a platform for youth practitioners to share their best practice on how they are promoting peace and sustainability through education within their spaces, the facilitation team from Kenya and Tanzania held a conversation and education around the SDGs and the impact which they have in our society. There was a well informative discussion around the objectives of a national youth council and the young people who are part of youth councils within their governments joined the discussion to provide more clarity and insights. Through the discussion it was realized that there is a possibility of forming a youth council for Tanzania. The member of the YESPeace Network Activate Change drivers from South Africa lastly conducted a dialogue which focused on exploring possibilities of collaborations and how there can be a sense of interconnectedness and connections in the society. This rich conversation created an opportunity for the youth to also share their commitments of how they plan to promote Peace, Sustainability and education in their society. There was some individuals who also shared their personal stories of peace and healing. Jonas Kessy, a victim of drug abuse shared his story and what he is doing in his community to eradicate the use of drugs and violence. The event was well attended and supported by the office of the regional commissioner and the regional commissioner himself Mr Mrisho Gambo as the main guest speaker. Mr Gambo’s was impressed and proud of the Vijana Assembly team and the YESPeace Network for organisation such a well-attended and informative gathering. Mr Gambo further shared with everyone his commitment to support the work of the Youth in Arusha and possibility supporting the YESPeace Network for the upcoming events and activities. “Be the change you want to see in Tanzania” Mr Gambo quoted the wise words of the honorable Mahatma Ghandi in relation to Tanzania. Going forward Vijana Assembly and YESPeace Network Africa plans to host annual National Youth Assembly collaboration events within different regions around the African continent with new organisations who have just joined the YESPeace network from Kenya, Zanzibar, South Africa, Tanzania and Uganda. There is also a possibility to host the capacity building workshops for some of the grassroots organisations who have shown a need and eagerness to learn about the Sustainable development Goals. “The future of the African continent lies in the hands of the current young people and our passion can better be realised in collaboration,” Lezerine Mashaba.